Do you love outings? Are you fond of hunting, fishing, shooting, boating and many more outdoor activities? Then Cabela’s Gift Card is the best choice for yourself. 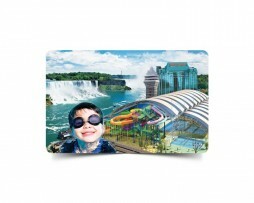 You can also gift this great outdoor activities gift card to your loved ones who like to go on adventures. *Cabela's Gift Card, Logos, Slogans And Related Marks Are The Property Of Cabela’s Inc. All Rights Reserved. Cabela's Gift Cards are redeemable on cabelas.ca, Canadian retail stores, or Canadian catalogue purchases. There are no fees or Expiration dates for Cabela's Gift card. To check the balance on your Cabela's gift card, call their customer service at 1-800-265-6245. Alternatively, you can check the balance by visiting https://www.cabelas.ca/giftcards. Using this card issued by Cabela’s Retail Canada Inc. constitutes acceptance of these terms. Balance may be checked or used to redeem for goods/services through Cabela’s Canadian Retail stores, calling 800.265.6245 or visiting www.cabelas.ca. Safeguard this card. Lost, stolen or damaged cards only replaced with valid proof of purchase or as required by applicable Law. May not be exchanged for cash except as required by applicable law. Not a credit/debit card, has no implied warranties, is not rechargeable and may not be used for payment of a credit account. No fees/expiration. Cabela’s Retail Canada Inc. reserves the right to change these terms at any time.